A rustic Bird Feeder in two designs made from lacquered iron. 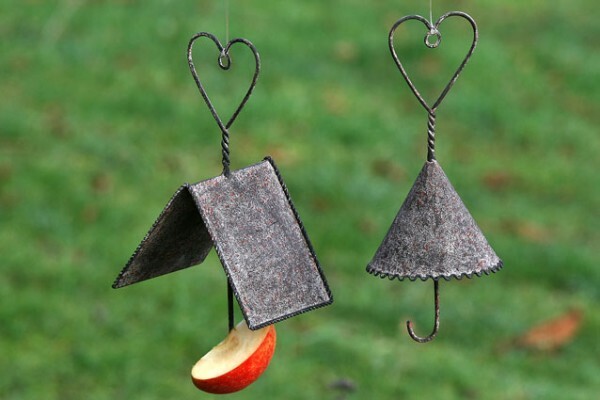 Simply hang it from a branch and place a seed ball or apple on the hook. Available in umbrella or House design.